I knew Kristin was the Right Realtor! 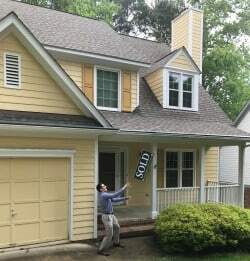 As a first time home buyer with a lot of questions, I entered my house hunt feeling cautious. I was worried I would be rushed into a poor decision, due to a local housing market with a reputation for being unforgivably fast paced. 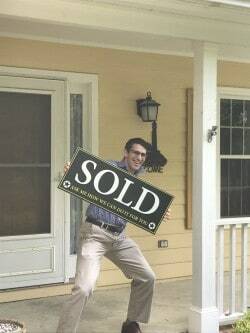 I felt that it was important to find a Realtor who had the ability and patience to walk me through the home buying process step by step and who could ultimately instill me with the confidence that I was making the right decision, on what would be the most significant purchase of my life thus far. Upon my first time meeting Kristin, I knew I had found the right Realtor. She came in prepared with an organized timeline of the typical home-buying process, with all of the expected costs laid out, thereby preemptively answering so many of my questions. During our time touring houses, Kristin demonstrated her experience navigating the notoriously ruthless market, by moving quickly to arrange showings and providing clutch guidance on timelines and offerings. With the power team of Kristin and Keri, I gained the confidence I needed to put forward the right offer when the perfect home came along. In the end, I came out with a beautiful home that met everything I could have wanted and more. Thank you so much Kristin and Keri! Katrina Made Our Dreams Come True!